Based on previous discussions with colleagues, I realized that there is quite a number of them who are interested in stock markets. Most of them have at least a few years of experience in it. I want to share in this post about a tool, a reference book, for stock analysis that I find very helpful and useful for analyzing companies listed in KLSE. 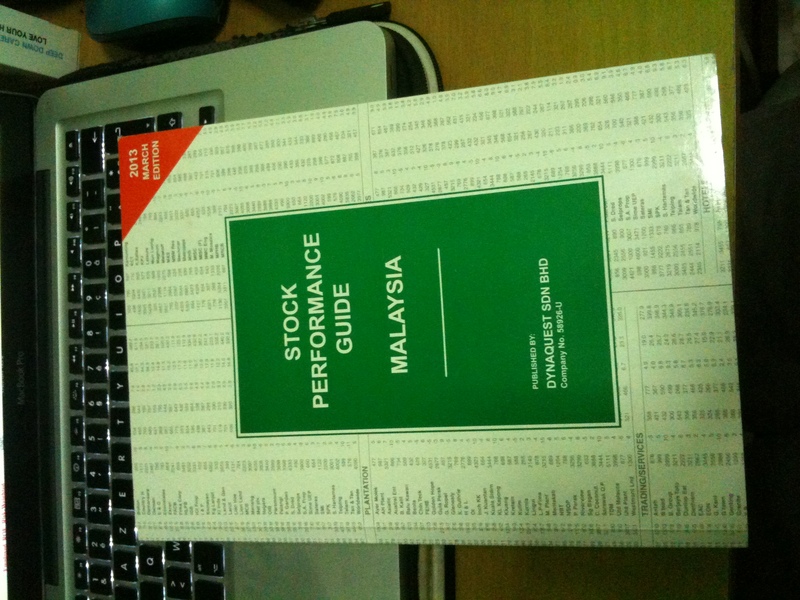 It is a book called “Stock Performance Guide” published by Dynaquest Sdn Bhd, a financial and investment research firm, based in Penang. You can order the book here: http://dynaquest.com.my/index.html. It is also available in Popular bookstores. I bought mine (2013 March Edition) from Popular, Komtar last time (in May) which cost RM 70. Last month, I went to Popular again to check for the latest version (2013 September Edition) of the book, however, it is still not available yet. The book is published twice per year (March and September editions). 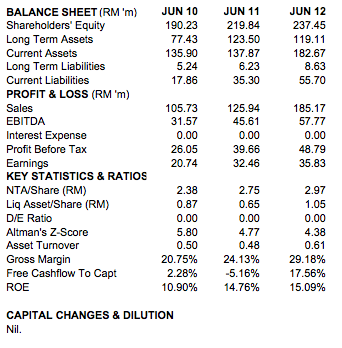 It includes most of the listed companies (600 of them) in KLSE. With it, you have access to historical financial data for a company up to 10 years back. The good thing about it is that it displays the financial data for a company in a consistent format which allows you to do comparisons among companies very easily. All the data for a company is fit nicely in a single page. 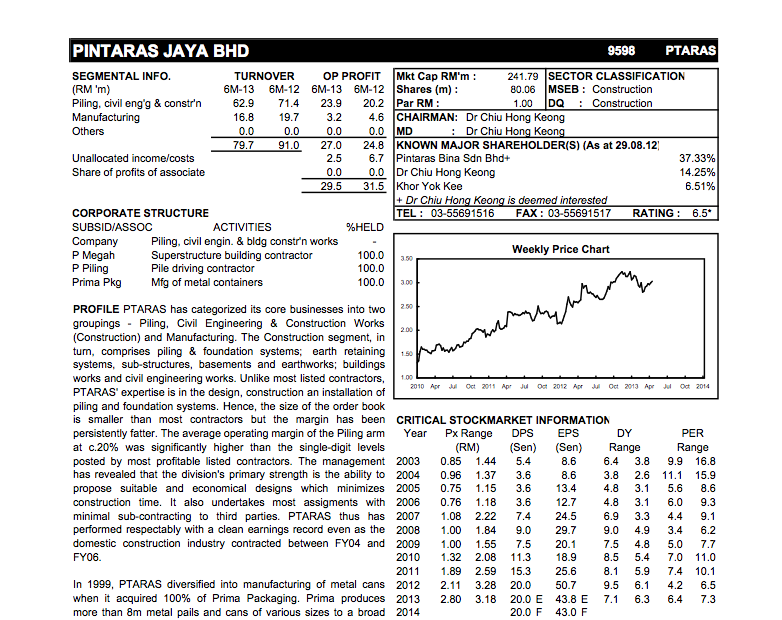 This entry was posted in Investment and tagged Finance on December 4, 2013 by Chok Leong.